Who have a guess on top 3 music videos? Why not influence your vote? Isn't that what this is all about ? For me the song Smile is better than the music video. Happy for When your'gone position,it's such a great video! But suprised of Girlfriend. Her best video won once again. One of the only good thigs from UMS. 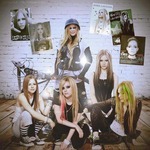 NH, IWY, Smile and Complicated are her best videos imo, so happy about the results! Looking forward to the songs! All the UMS videos are flawless, as is Complicated. Think GF should've been higher but other than that I think the results are pretty fair! I never got the hype over the NH video. It's got a good story I guess but there's so many other videos of hers I like better. My favorite is probably either Complicated or IWY, her best may be MHE or GF. tbh, most of her videos are really good My personal fav is He Wasnt, because her energy is outstanding! Agree with you. GF and My happy ending are much better than NH.